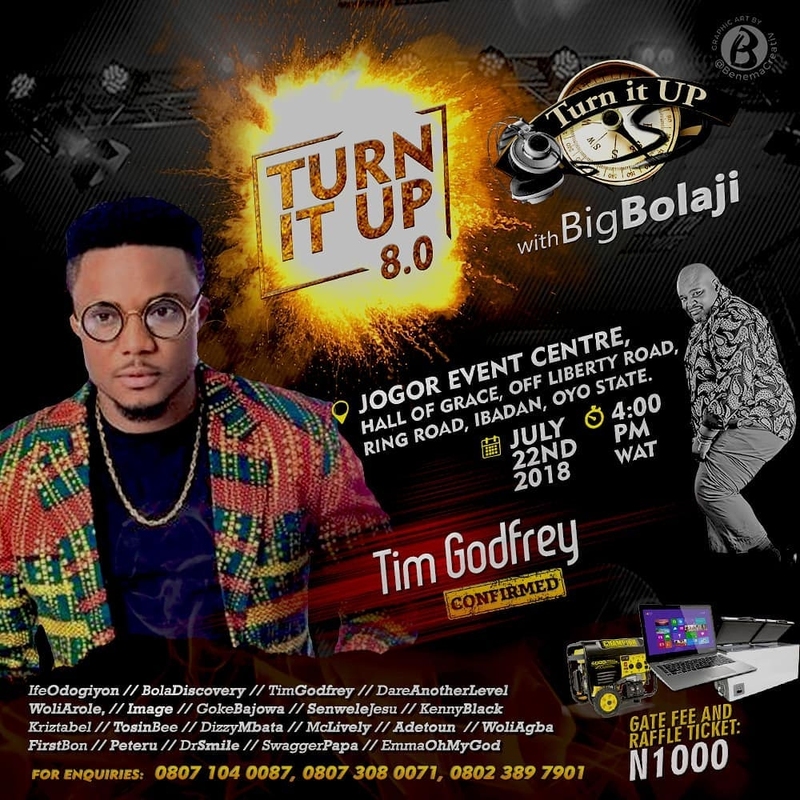 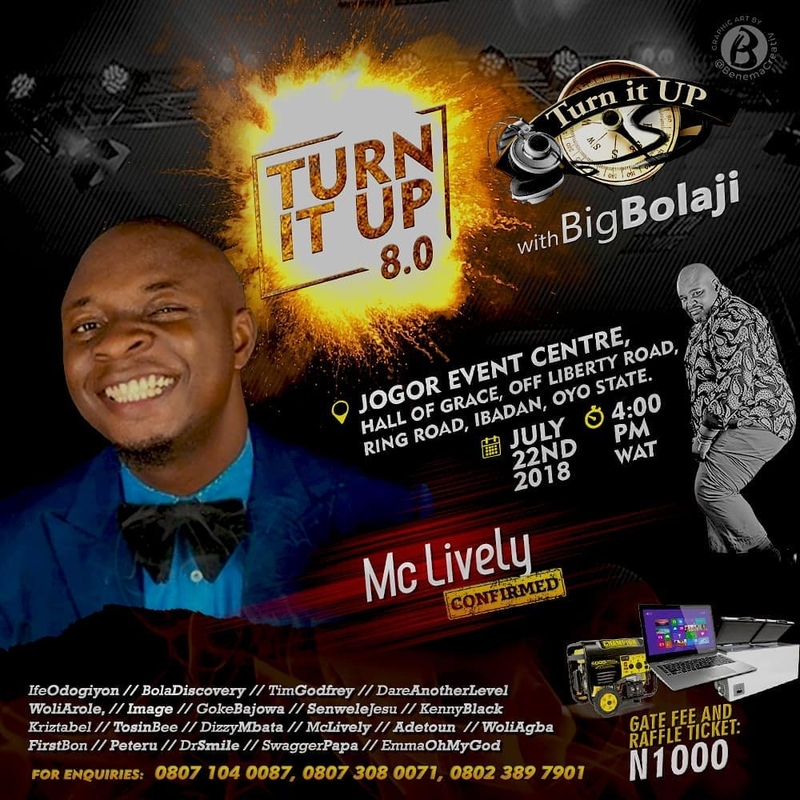 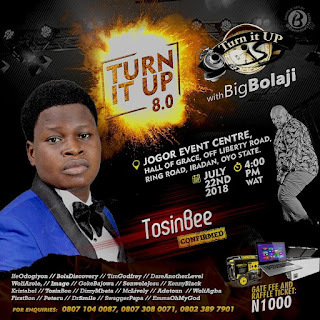 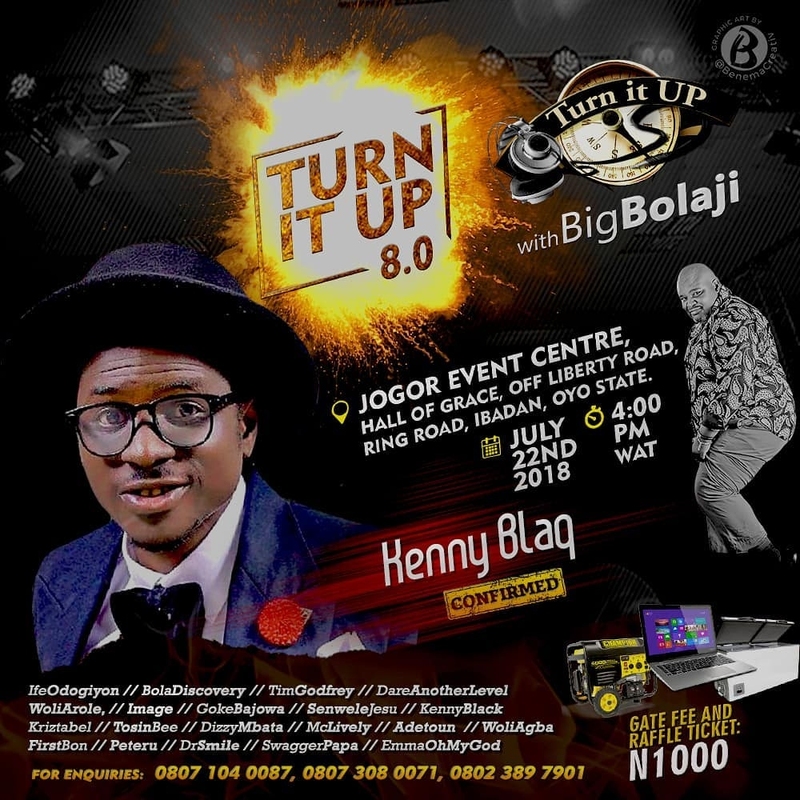 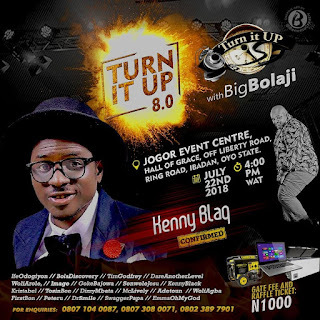 Big Bolaji puts Ibadan on the map again as he stages the 8th edition of his event "Turn It Up With Big Bolaji" - a cocktail of music, talk, comedy, prayer and more. 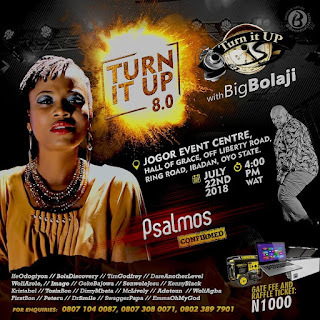 The city is about to experience God again in a mind blowing dimension. 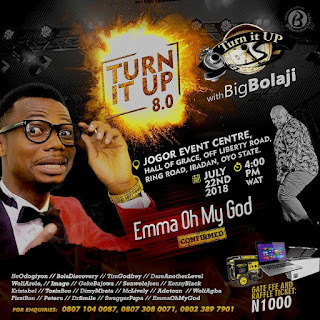 Prepare your hearts to be blessed and tell your friends about this event which would have a lot of music / comedy industry heavyweights gracing its stage. 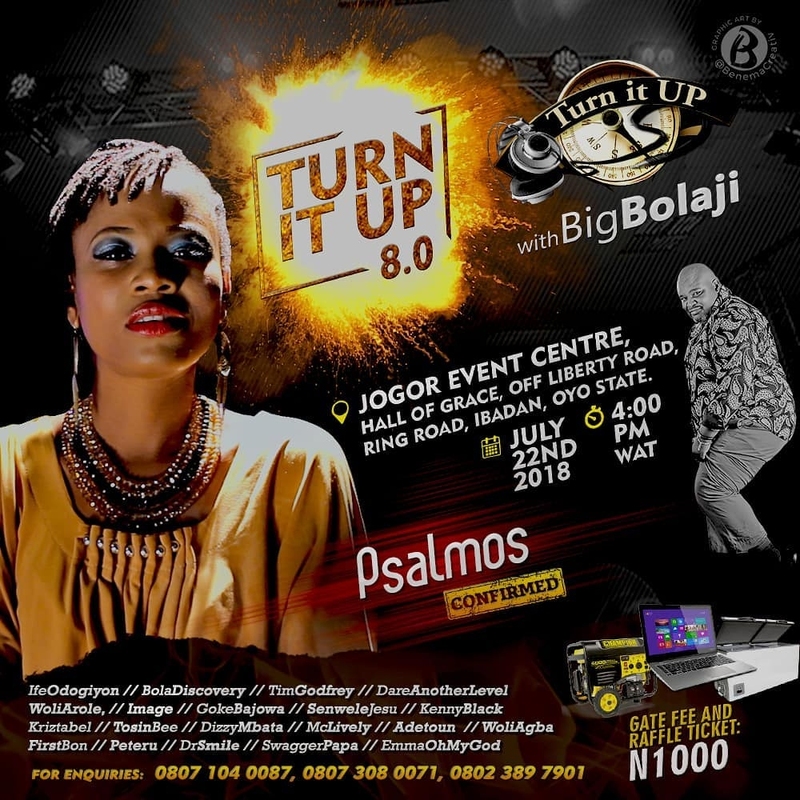 Featuring: Tim Godfrey, Woli Agba, Dr Smile, Arole, Adetoun, Emma Oh My God, Kriztabel, MC Lively, Dare Another Level, Tim Godfrey, Peteru, Kenny Blaq, Senwele Jesu, 1stbon, Goke Bajowa, Tosinbee, Image, Ife Odogiyan, Psalmos, Bola Discovery, Dizzy Mbata and many more. 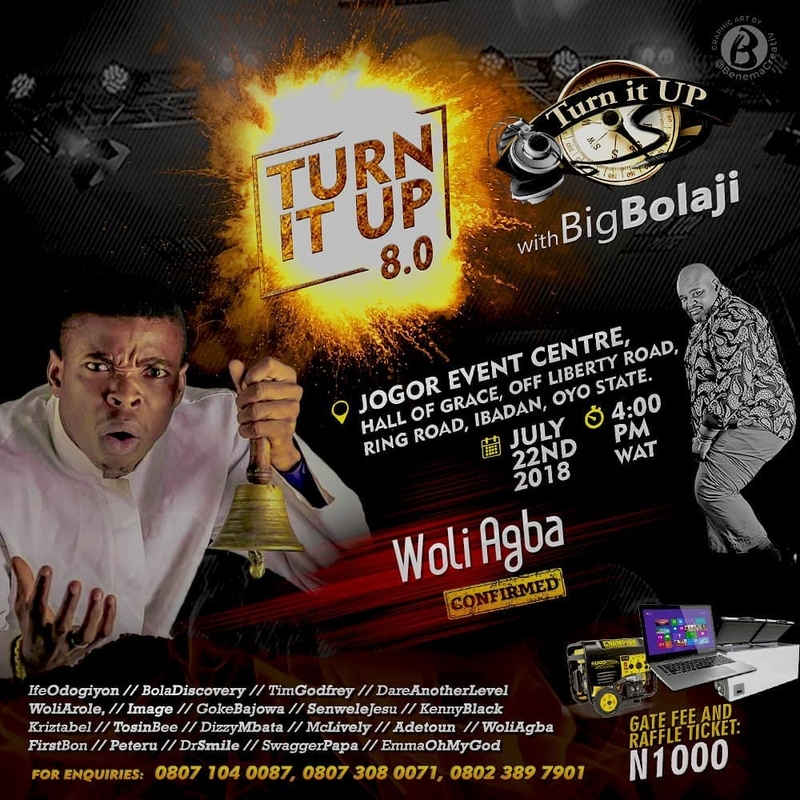 NB: Tickets purchased guarantees entry and qualifies you for a raffle draw. There are lots of prizes waiting to be carted away.